The partnership between RCR and Caterpillar began in 2009 and has been highlighted by the Cat Racing program's consistent activation and engagement with Cat dealers and customers. Richard Childress Racing (RCR) and Caterpillar Inc. have renewed their overall partnership and sponsorship of the Monster Energy NASCAR Cup Series #31 Chevrolet Camaro team, and will use the platform for the introduction of new digital and social content campaigns. The partnership between RCR and Caterpillar began in 2009 and has been highlighted by the Cat Racing program's consistent activation and engagement with Cat dealers and customers. Since the 2014 debut of driver/crew chief combination of Ryan Newman and Luke Lambert, the team has earned a career-best finish in the Monster Energy NASCAR Cup Series point standings, coming within one point of winning the coveted championship. Consistency has remained a strong suit and in four seasons, the 31 team has earned three NASCAR Playoffs berths, one victory, 19 top-five and 54 top-10 finishes. 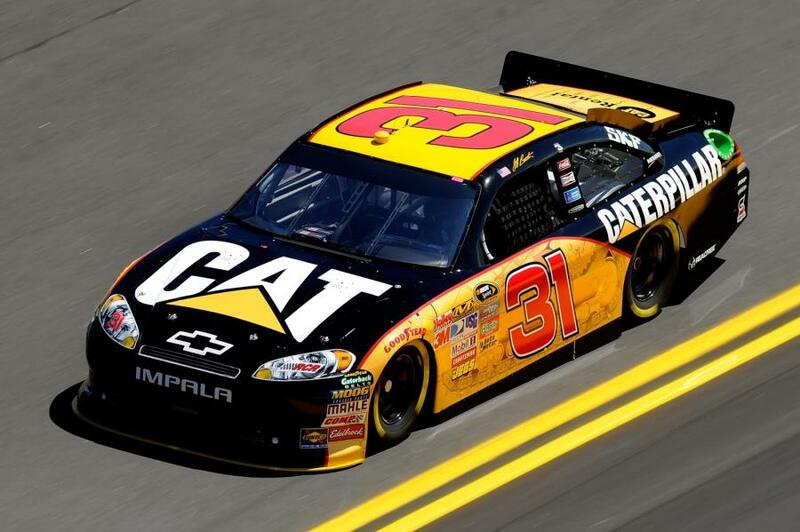 "I am happy to announce the continuation of our partnership with Caterpillar and the #31 Chevrolet in the Monster Energy NASCAR Cup Series," said Richard Childress, Chairman and CEO of Richard Childress Racing. "I've had the opportunity to meet and interact with so many Cat dealers, customers and equipment operators through the past nine years. They are passionate about both racing and their Cat equipment, and I share their passion for both. I have used Cat equipment for many years and there is no better heavy machinery on the market. We've enjoyed our long-term association with Caterpillar, and helped them sell a lot of equipment over the years. I'm proud to represent the Cat brand." Last month, Caterpillar rolled out its new digital and social content campaigns on several platforms utilizing RCR assets to enhance the integrated partnership. From simple tune ins to long-form features, Cat is showcasing the RCR team's implementation of the Cat S60 phone in competition, as well as its driver's off-track devotion to conservation with the help of Cat Compact Track Loaders and the Newman family's animal rescue and education facility in North Carolina. "Some of our strongest brand ambassadors are found in our friends on the RCR team," said Caterpillar Vice President, Nigel Lewis. "Together, we share a commitment to teamwork, advanced technology and healthy competition. Because of our partnership with RCR, we have engaged and entertained countless customers over the years across North America, and built lasting relationships and strong customer loyalty as a result. We look forward to another exciting racing season and extending the relationship beyond the track, reaching a much broader group of our customers during our sponsorship throughout the year." The world's leading manufacturer of construction and mining equipment, diesel and natural gas engines, industrial gas turbines and diesel-electric locomotives began as a sponsor in NASCAR in 1993. Caterpillar was a team sponsor in the NASCAR XFINITY Series from 1995 to 1996 before moving to the Monster Energy NASCAR Cup Series in 1997. Its relationship with RCR began in 2009, where it remains as one of the most prominent brands competing in the elite division.